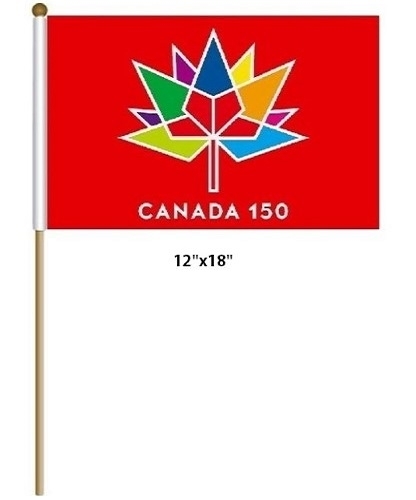 12" x 18" Canada 150 flag. Printed on Extra Heavy knitted polyester, Flag has double stiched sewn edges This flag is mounted on 24" wooden staff with a round ball top. Base available separately.